disney Princess - chibi. . HD Wallpaper and background images in the disney Leading Ladies club tagged: disney mulan giselle jasmine aurora ariel belle tiana cinderella snow white. 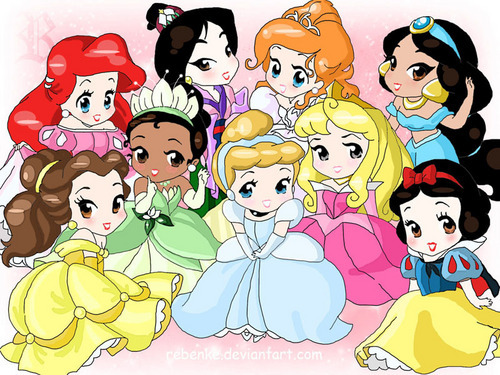 This disney Leading Ladies fan art contains animado, cómic, manga, historieta, anime, and dibujos animados. You should totally make another one with Rapunzel in it! :D That's awesome! I love it!